2017 marks 200 years since Elizabeth Fry established the Association for the Improvement of Female Prisoners and along with a group of 12 other women lobbied authorities including parliament. In the 1820s she inspected prison conditions, advocated reform and established further groups to campaign for reform. In 1823 prison reform legislation was finally introduced in Parliament. 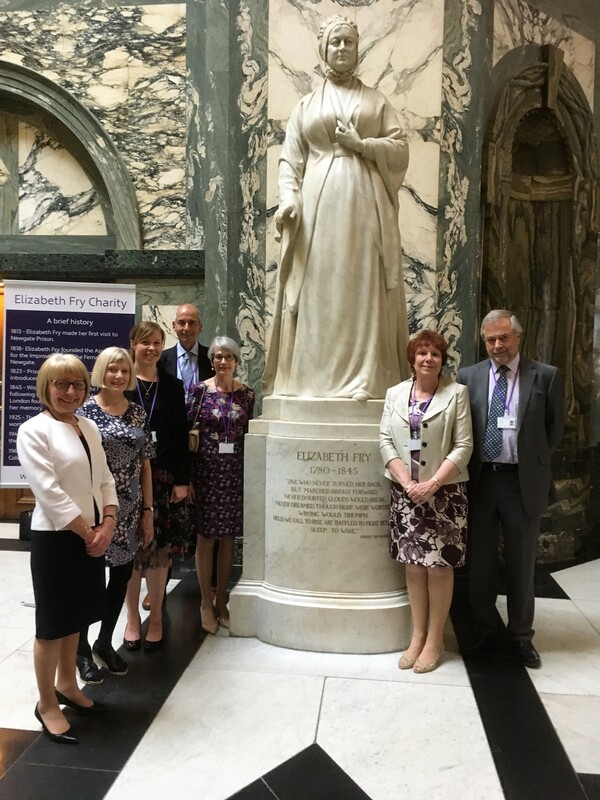 Staff, Trustees and HH Judge Zoe Smith, a Patron of Elizabeth Fry Charity were delighted to be invited by The Sheriffs of the City of London to attend an Elizabeth Fry Reception in May. The event was held in the beautiful Grand Hall of the Old Bailey which was formerly Newgate Prison. It was very apt that there is a statue of Elizabeth Fry in the Grand Hall and we were able to position ourselves near this for the evening and provide information to others that attended about the work that continues in her name through the Charity. The evening was a great success and very well attended. There were a number of descendants of Elizabeth Fry in attendance, some travelling from Canada and other parts of the world to be there. Alderman Peter Estlin gave a fascinating speech about the work Elizabeth Fry had undertaken and the impact that she and those she worked with had on the lives of women offenders, in some cases meaning the difference between life and death. The evening provided a great opportunity for Trustees and staff to talk about the work we do, meet with others and build links with partner agencies and funders and to celebrate the life of this extraordinary woman.